December 5th 2017. 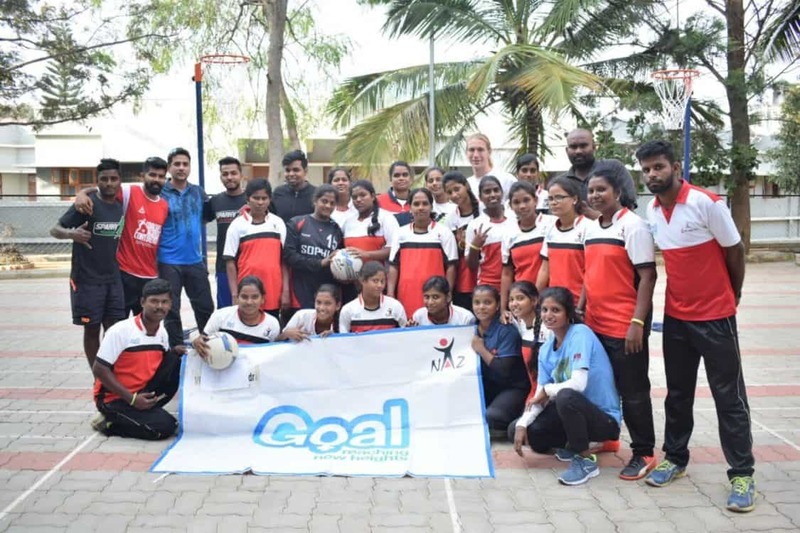 Community Impact Coach Jaspreet Kaur from YFC Rurka Kalan writes about working with CAC during our partnership with Naz Foundation in Bengaluru. My name is Jaspreet Kaur. I have done a post graduation course in my own language Punjabi from Guru Nanak Dev University in Amritsar, Punjab, India. In the last 4 years I have worked with Youth Football Club Rurka Kalan. My job is Training and Monitoring officer, this means I look after the Sports for Development sessions at twenty Government Primary schools near Rurka Kalan, sessions taught by our own Youth Mentors who I have helped train. This past week was my first time visiting Bengaluru. I was very happy to have this opportunity and I want say thank you so much to CAC. YFC Rurka Kalan has been working with CAC for five years now and I have got a chance to participate as a CIC in this training with the Naz Foundation. I want to share my experience with you regarding five days training of CAC with The Naz Foundation which was held at Don Bosco Mission Skills Institute at Bengaluru. The participants came from different cities such as Delhi, Tamil Nadu, Chennai, Madurai and Bengaluru. The five day workshop was based on Leadership, Menstruation, HIV, Conflict Prevention and Gender Equity. In the first day some of girls and boys did not speak too much, but slowly slowly their voices got stronger during training. Some of them gave presentations and spoke in front of their other coaches for the first time which was so good to see. Naz Foundation is built around coaching Netball which means I learned all new skills for this sport this week. We even made some netball skills called “Thilaga 1, 2, &3”. 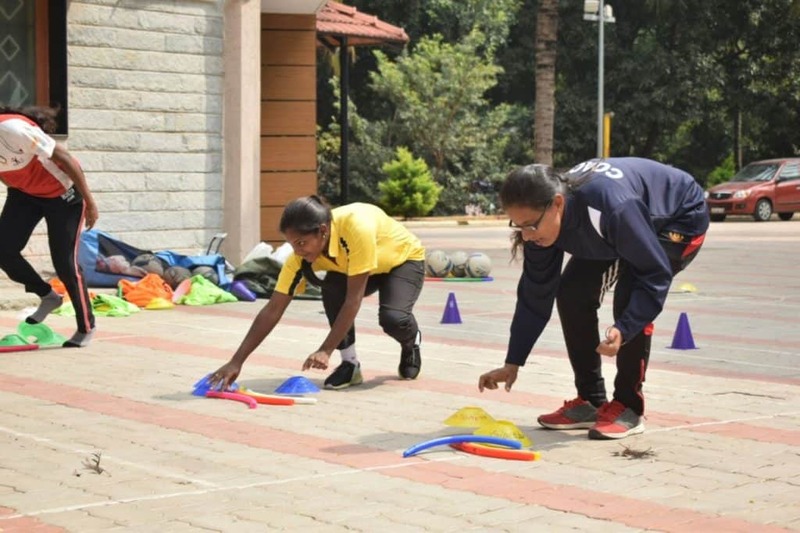 Because the coaches were so experienced, they ended up creating games regarding Menstruation because it is a serious issue that is often overlooked because of taboos. I look forward to going back home and conducting sessions using these games with girls and youth mentors who are working in schools. The food of Bengaluru is good. Things I have tasted for the first time include edaly, vadda and Masala Dosa. I have also learned about new apps “Ola and Uber” which helped me get from Bengaluru Airport to Baanarghtta (Don Bosco). It was a great experience for me to learn and share skills with junior coaches, senior coaches and project coordinators. Moreover, I have solved challenges regarding Monitoring evaluation with Charlie and am looking forward to returning to YFC with new skills! November 29th 2017. 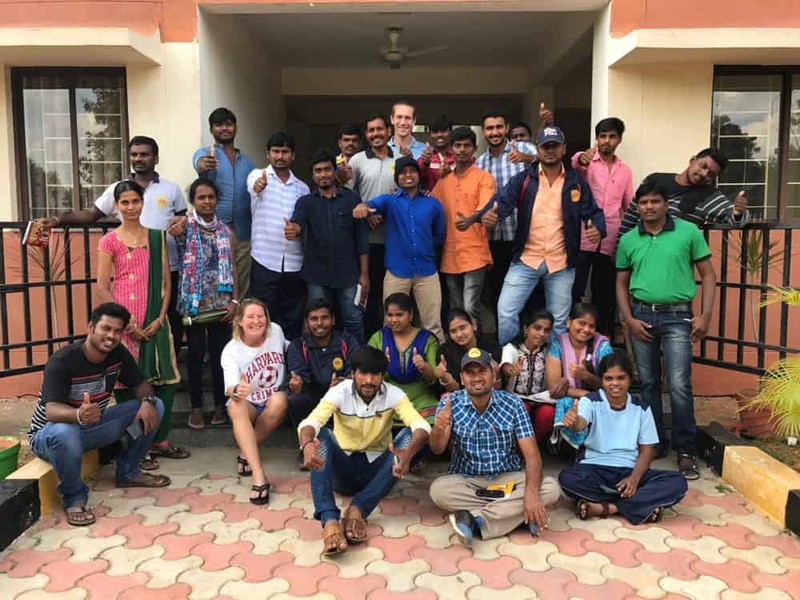 Global Citizen, Heather “Action” Jackson reflects on her week in Hyderabad, India with Magic Bus for the Coaches Across Continents program with SDL Charlie Crawford. My journal is full of new words, phrases and slang I’ve learned here in India. A couple of my favorites come from our week with Magic Bus outside of Hyderabad. 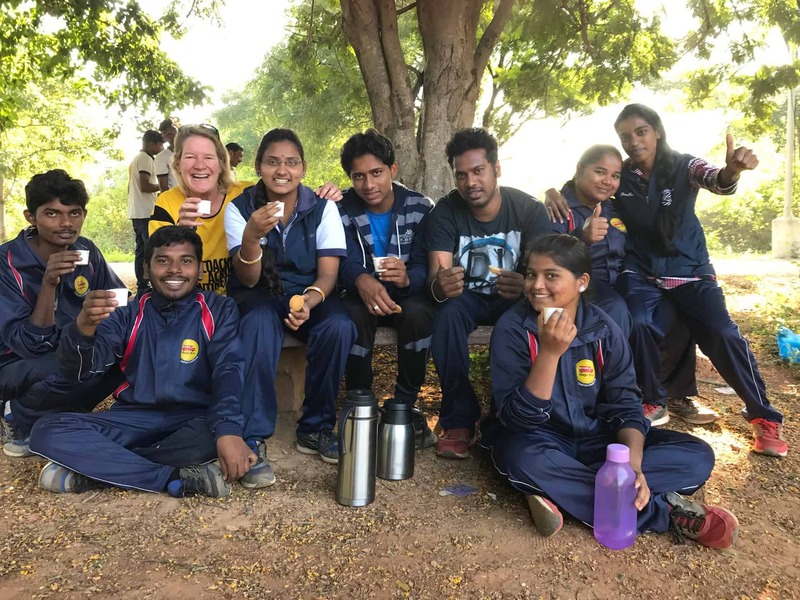 “Chala Bagundi” loosely translates to “Awesome!” Magic Bus, whose name derives from the “magic” that happens through the program and its use of sport as a catalyst for education, is Chala Bagundi, as was our time together. In a retreat setting at the University of Forest Biodiversity in Dulapally village, we spent time on the (homemade) field, in the classroom and in the dorms in the evening. Once again, these youth mentors and coaches were so inspiring and impressive; many had traveled overnight by bus to be a part of this program, showed no signs of weariness and were ready from the start to laugh, sing, play and develop as leaders with CAC. 32 games over 3 days, including a focus on female empowerment and child rights. A favorite was a version of Scary Soccer the MB youth mentors developed using moves from Cricket, Kabaddi, and Handball. Creativity + Local Flavor = Chala Bagundi. Routine sing alongs in the classroom, including songs about child rights, Magic Bus, India and of course, love. While we focused on having a voice on the field and taking that into life, these voices underscored the leaders’ sense of, and commitment to, community. Thank heavens they didn’t ask for a repeat solo from Charlie and I. Playing Dam Sharats, also known as action movie charades in Hindi, with the whole crew. Sometimes it can be hard not to understand a word people are saying, but we can all understand the universal language of laughter. Suffice to say, you can only hope to get Titanic as your challenge. Rock on Magic Bus. Stay Chala Bagundi! Oh Yes, We Made a Plan! November 14th 2017. 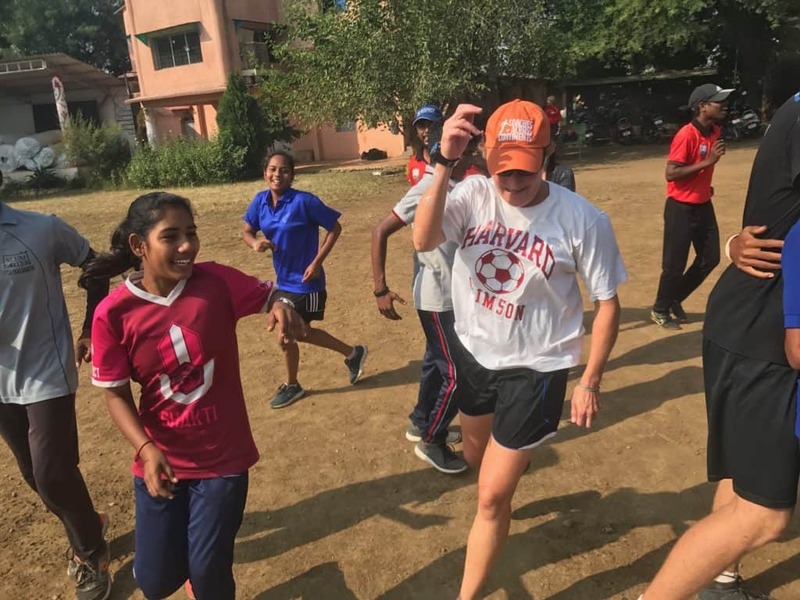 CAC Global Citizen and Harvard Alum Heather ‘Action’ Jackson blogs from Nagpur, India about our groundbreaking partnership with Slum Soccer. 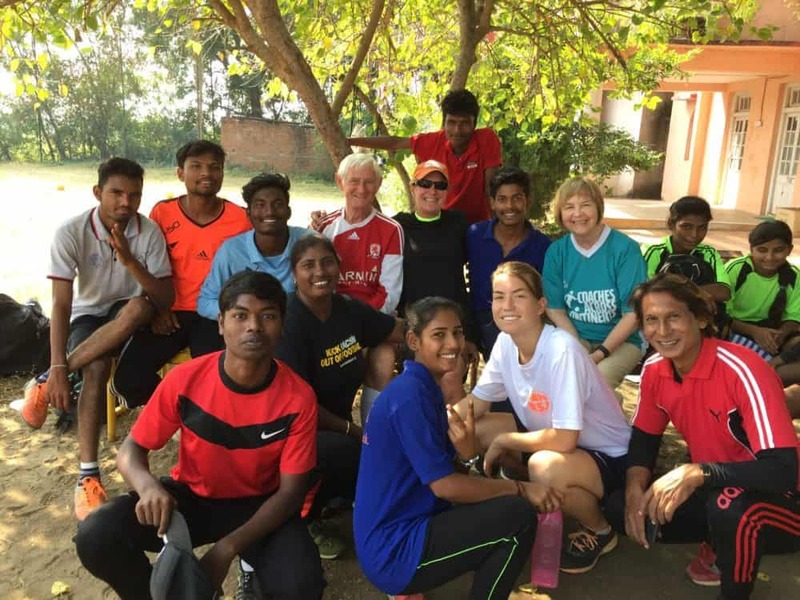 I’ve been so lucky as a CAC Global Citizen in so many ways, including having the opportunity to work with longtime partner Slum Soccer here in Bokhara, Nagpur, India. As an outside observer, it struck me that the comfort, familiarity and understanding that CAC and SS have developed together over 8 years, as people and as organizations, created an environment of trust and openness that allowed for real progress to be made this week. A common phrase you’ll hear whenever a decision needs to be made is “We make a plan.” This applies to almost any decision that I saw made this week incl: when to leave for Shakti Girls (Girl Power) practice; where to go for delicious Southern Indian dosa and tea; who is going to drive/be a passenger on which motorcycle (all of which read below empty on fuel) and of course which direction to take and grow an organization. Often the decision can take some time; that’s what happens when you have a lot of bright people with different ideas, and/or a lot of bikes and passengers to organize. Serious strides in professional and organizational development for Slum Soccer using CAC’s process consultancy framework. It’s not often easy to take the “right” next steps to grow and mature as an organization; the insight and knowledge CAC leaders provided this regard was invaluable and those next steps put into place. Development by senior female staff of 3 brand new games for Slum Soccer’s female health & wellness initiative, focusing specifically on menstruation. It was amazing to see the girls open up, voice frustration with, and ask about the verity of, cultural traditions and listen to the SS senior staff support, educate and inform them. You know it’s working and trust exists when the day’s program is ended, and 15 girls are circled around still asking questions and getting answers. 42 games played with 35 coach/mentor participants, including those designed to address HIV, LGBT, Child Rights and ASK for Choice (Female Empowerment.) It’s truly rewarding to see those girls too shy at the beginning of the week to say anything or even look up from the ground, raising their arms up and shouting “I am strong” or “I have a voice” by the end of the week. Yes change can happen in 5 days. An amazing street food tour (once we figured out who was actually on which bike) led by senior SS staff. That “We make a plan” took some time to make following an outing to the cinema featuring Thor, my first Hindi 3D movie, but was so worth it. 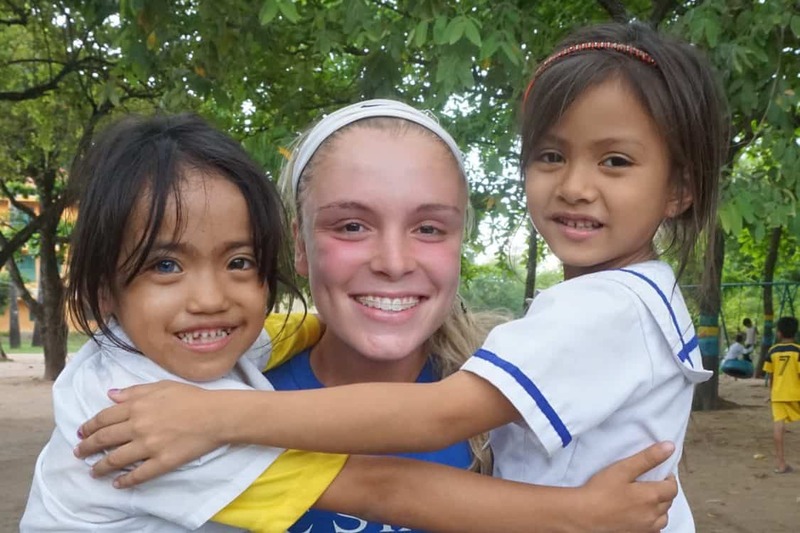 Thank you Slum Soccer friends and family! November 13th 2017. 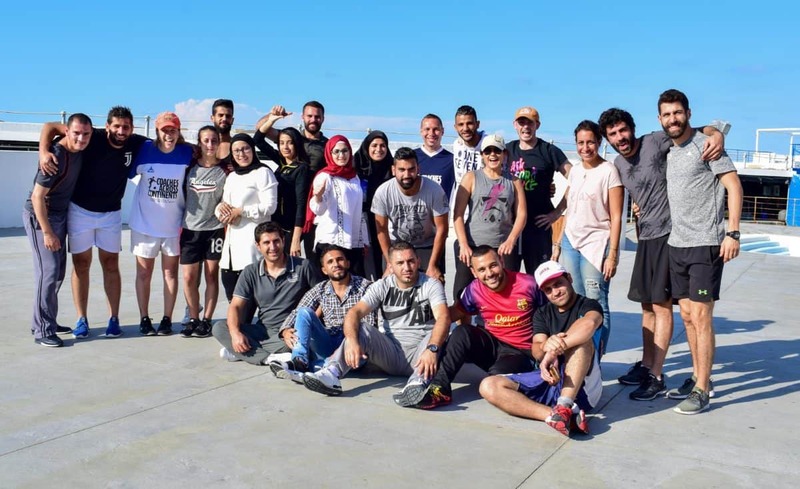 Global Citizen, Ian Phillips, joined us on-field to work with our new ASK for Choice partner, Reclaim Childhood, and their coaches from Jordan, Syria, Iraq, Palestine, Sudan and Egypt. It’s 5am in Amman, Jordan. The first few tentative rays of light are making their way through the night sky. The stillness in the air is broken by the Muslim call to prayer, and the sound echoes across the hilltops, down in to the valleys, and makes its way to my window. The chants are haunting, and beautiful, but did I mention that it’s 5am? The call to prayer rings out from mosque to mosque five times a day and, like the sound that echoes throughout the city, the influence of Islam is pervasive here. It can be heard, seen, and felt in the streets. While this influence manifests itself in many positive ways – such as the kindness, warmth, hospitality and generosity that I witnessed every day, it’s also fair to say that the traditional attitudes many people associate with this part of the world create significant challenges for the women and girls who live here. 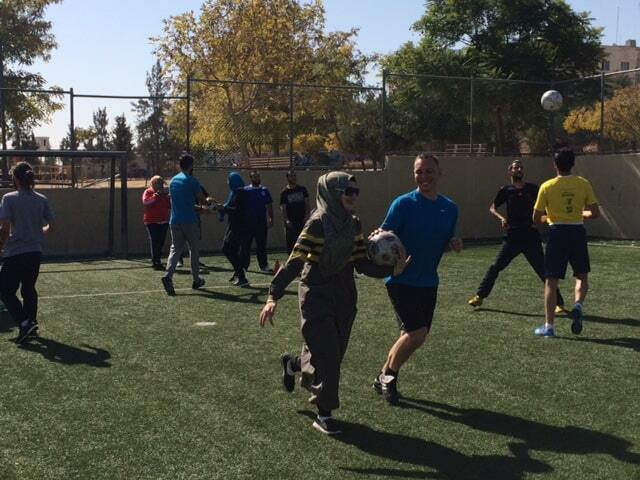 We’re here in Jordan to work with a local NGO called Reclaim Childhood, an organization that uses sport to empower and educate girls. Often, the practices and leagues set up by Reclaim Childhood represent the only opportunity these girls have to leave their house in order to play, exercise, express themselves, and learn important lessons in a safe space. Their all-female staff and coaches are courageous, intelligent, empathetic, compassionate – and inspirational. The highlight of the week was having the opportunity to visit the coaches in action – and seeing a field full of smiling, happy, vibrant young girls. This, more than anything, shows that the efforts of Reclaim Childhood’s brave coaches are worthwhile, and that their programs are having a positive impact. The week of training in Amman was an amazing experience. The CAC coaches and myself were able to work with a group of people who are passionate, thoughtful, and genuinely dedicated to creating positive change in their respective communities. 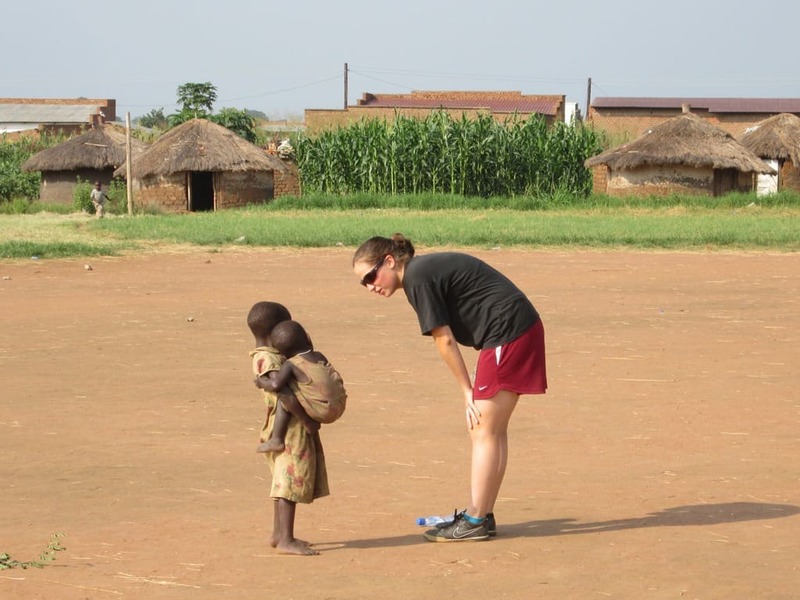 I’m grateful for the chance to get On-Field with CAC, and to meet some of the local partners who make this work so worthwhile. November 10th 2017. CAC Self-Directed Learning coach and Sustainability Strategist Jordan Stephenson discussed our first ever program in Beirut, Lebanon with ANERA. This week Ian, Nora and I traveled to Beirut, Lebanon to work with our partner ANERA. The setting for our week was on the coast of the Mediterranean surrounded by large boulders protecting the land from the sea. The length of the training was longer than what I have previously experienced which allowed us to go deeper with the work and allow for more discussions and opportunity for learning to take place. ANERA (American Near East Refugee Aid) work across the Middle East providing support and opportunities for refugee communities. 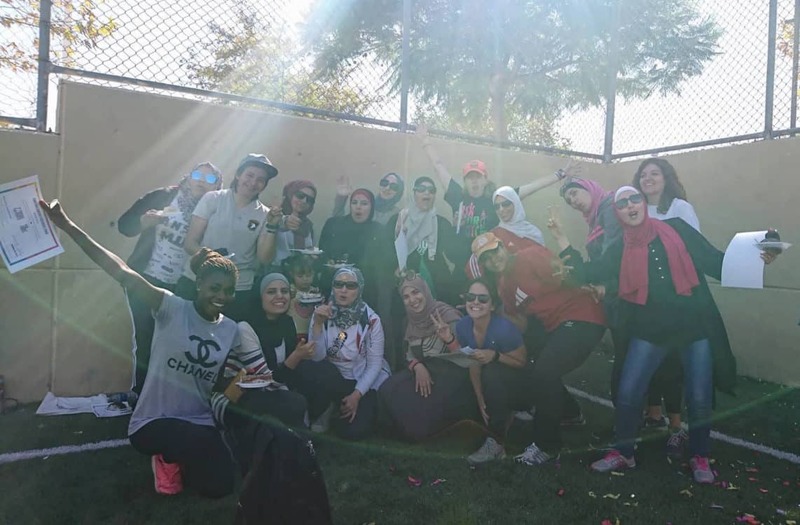 Our role was to facilitate learning with the coaches and coordinators and ANERA’s sport team which brought 25 people from across the country to a central location for the training. The week was so eye-opening to be able to learn from individuals who have found themselves in situations they did not chose and were able to channel their energy into helping others. My mind has been opened to what it might be like to live in a refugee community, especially those who were born in the country yet still do not have the same rights as nationals, restricting their ability to travel, work, and access education. The idea of equality is something which is often sought; however, in reality it is not practiced through discriminatory policy, laws, and culture which prevents refugees being able to choose their futures in such an uncertain part of the world. 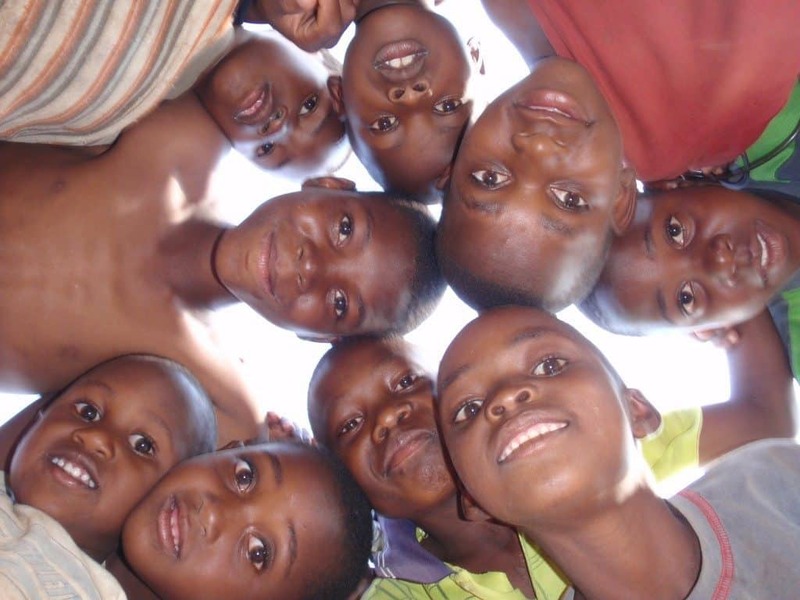 CAC are in a unique position to work alongside individuals who are actively trying to achieve equality within the community and we’re lucky enough to bring individuals together and create a large network of individuals and organizations through an overriding strategy to contribute heavily towards the development of a better world. Many participants identified this training as the best they’ve ever received as they were able to take practical learning away and begin to implement within their communities. Our partnership with ANERA has just started and the team are excited to partner with such a great organization over a sustained period of time. 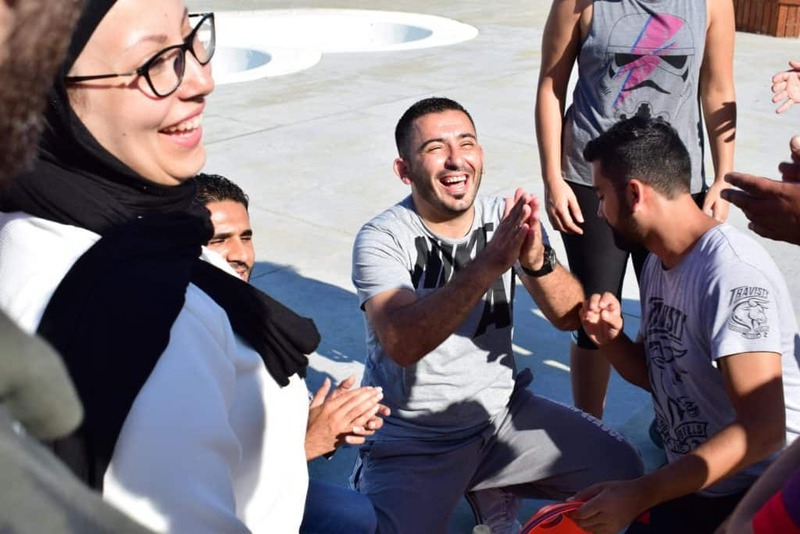 Through this partnership CAC will be able to support refugee communities to both integrate themselves within the communities they find themselves in, but also to allow individuals to reach their full potential. As a city, Beirut is diverse and vibrant. This is a city which has faced so much turmoil over recent decades which, undoubtedly, has had an impact on society. The trip to the Middle East has been a fantastic experience allowing me to understand struggles within this area from my own eyes, not tinted from the eyes of media.